Completely revised version of the Grand sonata A major. At the beginning of the 19th century, music at home was in full blossom and the guitar a very popular instrument. Contrary to the short, zither-like note of early pianos, the guitar had a singing resonant sound. Thus, many chamber works with guitar originated in this era. 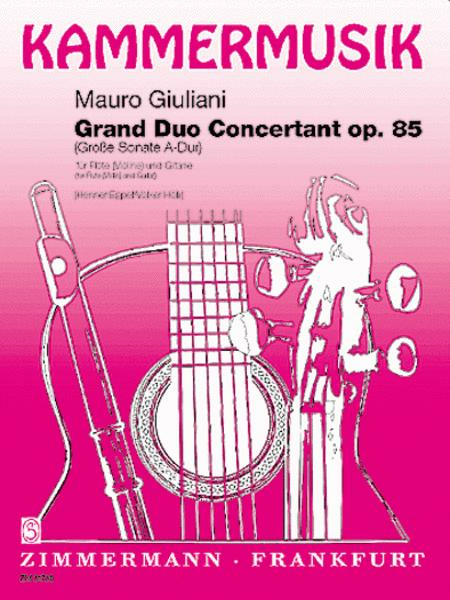 Grand Duo Concertant had already been published at Zimmermann Leipzig in a reduced and abridged version by Heinrich Albert. The editors of this issue now offer a complete and carefully revised edition of Giuliani's Opus 85, based on the original print.